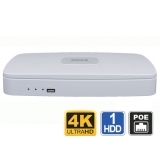 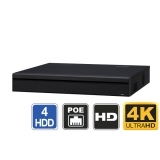 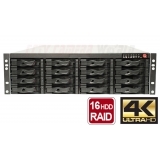 4K Ultra HD is the highest resolution available for recording using IP security cameras. 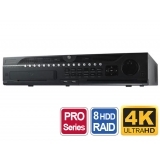 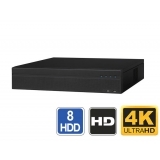 By using 4K resolution IP cameras along with the network video recorders below, you can record in the Ultra HD format. 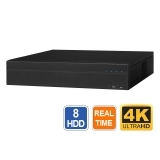 Note that 4K resolution is data intensive, and requires considerable hard drive storage for video retention, but it provides the best clarity possible for a security camera. 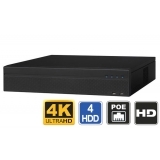 We offer the latest in 4K NVRs, including those with integrated PoE switch that make configuration and setup a truly plug & play task. 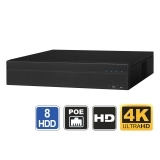 Simply run one CAT5e/6 cable from the camera to the NVR, and it will provide power to the camera while streaming video/audio/data all over one single cable. 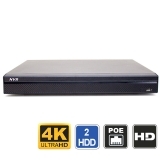 For NVRs without built-in PoE, you will need a PoE switch. 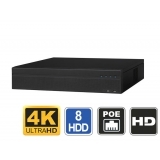 Be sure to read our article How to add ip cameras to a NVR to see how easy it is to connect our IP cameras to our PoE or non-PoE NVRs.